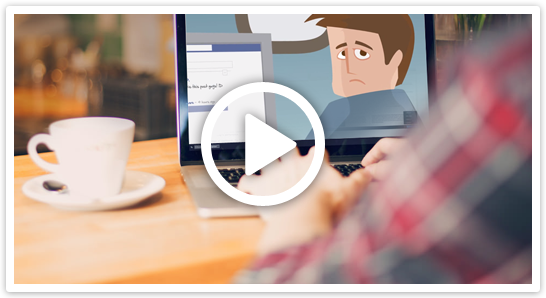 Buy Facebook Post Haha Reactions | Get it for $0.045 per post haha reaction! With the latest Facebook reactions, you can now engage your customers and followers in the most natural sense. The game has just got better with the new Facebook Reactions on trend--Love, Haha, Yay, Wow, Sad, and Angry. If you want to share all the fun and start going viral on Facebook, you’ve got to aim to get more Facebook Post Haha. It is the squinty-eyed emoji that tilts its head back in a fit of laughter. Instead of commenting Lol on a post, your audience can now directly laugh at your posts with the expressive Facebook Haha Reaction. Getting more of this on Facebook will tell your fan base and the whole world that your brand or your profile is not just about business and show. It will reflect how personal and genuine you are in bringing smiles to your audience. What are the benefits if I buy Facebook Post Haha? There are several advantages of having more Haha reactions to your posts, but the most direct effect would be to have better engagement. Once people see that you have gained hundreds or thousands of Haha reactions from others, they get compelled to check your post out and jump into the bandwagon of fun and amusement. And there you have it, a bunch of free advocates sharing all the fun with you. What If I want to be viral on Facebook? If you want your funny videos, photos, and other witty posts to be viral on Facebook, having more Facebook Post Haha reactions to your posts is a great, great way to gain real and organic views from other people, eventually placing you on the spotlight The more amusing your post appears due to its high volume of Facebook Post Haha, the more your post becomes shareable and the sooner you’ll meet your much-awaited over-a-million post hits. Believe it or not, a lot of social media sensation you may be following nowadays are doing this method. They are the living proof that this method is indeed effective. It is a common social media marketing strategy to help you start building a solid fan base and to add credibility and value to your posts. When can I possibly see the results? With our expertise and vast knowledge in social media marketing, we have found ways to deliver the result that you wanted in less than a month! However, the time duration of the result may vary depending on the package that you choose. Do you offer some discount packages? We always aim to make our customers happy with our services; thus, we offer you big discounts on your first trial. More discounts will be offered once you register on our client portal and become a regular customer. Also, the more Facebook Reactions you buy, the more savings you get. If you find our service rather unsatisfactory, you can get your money back through our 100% Money Back Guarantee contract (see our refund policy for more details). But we’re positive that’s not going to happen. We are always driven to provide our customers with the best quality service, so we are confident that you won’t say goodbye too early. Fingers crossed. Can you really make all posts viral? Yes, we have increased our social media connections to ensure that results are delivered spot on; however, the quality of your content is also essential for the strategy to fully work. If you think your content is quite poor, enhance it first before you buy Facebook Post Haha. At the end of the day, the quality of your post should match the quantity of your Facebook reactions. How to get Facebook Post Haha? All you have to do is choose a package from this page, input your details and then head straight to the checkout for the payment process. You can also sign up here, our one-stop shop or our client portal for more discounts and promos. See you! What if I suddenly want to cancel my order? Can I do that? Cancellation of orders undergoes a certain process. You have to send us a cancellation request first, and we will review it for approval. Note that cancellation of orders is only possible if the order has not been activated or delivered yet. For your convenience and security, we accept payments through PayPal and other major credit cards using PayPal as the payment processor. This online payment method is safe, easy, and quick. For easy tracking of payments, we do not accept cash in envelopes or payments of the same sort. We are not only up to the quantity of the services that we offer, but we also make it to a point to inject quality to all our services. With your talent and dedication coupled with our expertise in the field, we make sure that you rank on top of the search engine results. Buy Real Marketing is a trusted social media marketing provider that delivers results on the dot. We are always updated with the current social media trends to ensure that you get fresh and new interesting marketing strategies. Moreover, we have served thousands of clients online and 97% percent of them would recommend our services and would love to work with us again. We would be more than happy to help your posts increase Facebook Post Haha and see you enjoying an overwhelming attention on Facebook. Looking for ways on How to get Facebook Post Haha anytime of the day? Buy from us and we will process your order right away! We make sure our customer care support are at your service.